The High Court has observed that corruption, including financial crimes, on Monday not only poses a grave danger to the concept of good governance, but also threatens the very foundation of democracy, social justice and the rule of law. “It’s beyond controversy that where corruption begins, all rights end. Corruption devalues human rights, chokes development and undermines justice, liberty, equality and fraternity which are the core values of our constitution,” the High Court said. The court came up with the observations in the full text of its verdict doubling the jail sentence of BNP Chairperson Khaleda Zia in the Zia Orphanage Trust graft case to 10 years from five years. “Thus, the duty of the court is to work in such a manner to strengthen the fight against corruption. Therefore, there’s no scope to take a lenient view in awarding punishment to an accused against whom charge has been proved considering his/her social and/or political position,” the court said. Earlier in the day, the HC released the full text of its verdict doubling the jail term of the BNP chief in the corruption case. The text of the 177-page judgment was published on the Supreme Court website after two judges concerned signed the verdict. 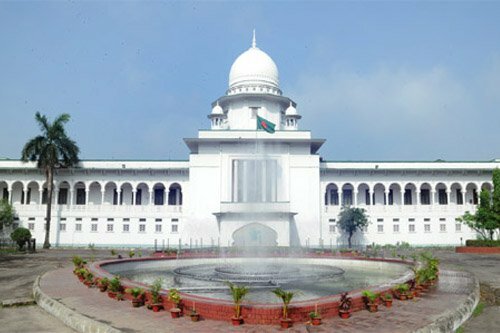 On October 30 last, the HC bench of Justice M Enayetur Rahim and Justice Md Mostafizur Rahman extended the BNP chief’s jail term. The bench also upheld 10-year jail term of two other convicts – Kazi Solimul Haque Kamal and Sarfuddin Ahmed. On February 8 last year, a special court here convicted former prime minister and BNP chairperson Khaleda Zia and sentenced her to five years’ imprisonment in the much-talked-about Zia Orphanage Trust graft case. Five other accused in the case, including her son and BNP senior vice-chairman Tarique Rahman, were sentenced to 10 years’ imprisonment each. The court also fined the five accused Tk 2.10 crore each. The Anti-Corruption Commission (ACC) filed the case against Khaleda and others with Ramna Police Station on July 3, 2008 accusing them of misappropriating Tk 2.1 crore in donations meant for a trust set up in her husband’s name.